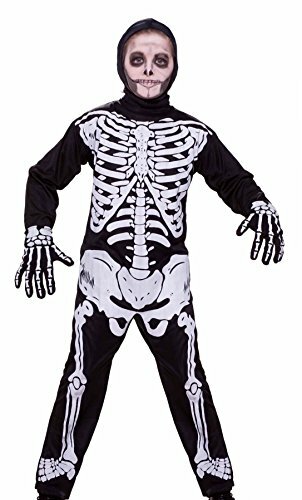 Formal dress skeleton costume includes printed jumpsuit, jacket with tails, and top hat; cane, gloves, face paint, and other macabre accessories available separately from Forum Novelties. IMPORTANT! 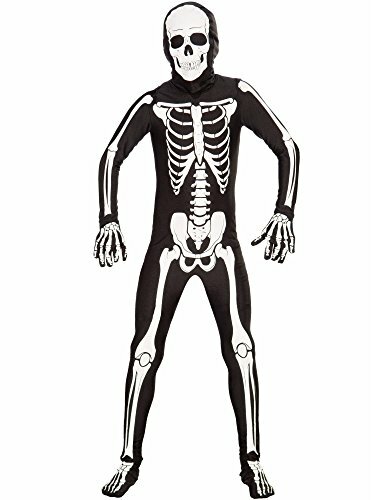 COSTUMES ARE SIZED DIFFERENTLY THAN CLOTHING AND VARY BETWEEN MANUFACTURERS; DO NOT BUY BASED ON AGE; CONSULT FORUM CHILDREN’S COSTUME SIZE CHART. Forum is a leader in manufacturing and distributing of jokes, tricks, magic items, novelties, costumes, and accessories – look to Forum Novelties for your Halloween, luau, Christmas, Mardi Gras, St. Patrick’s Day, and every costume occasion. From funny to frightening, Forum has it all. 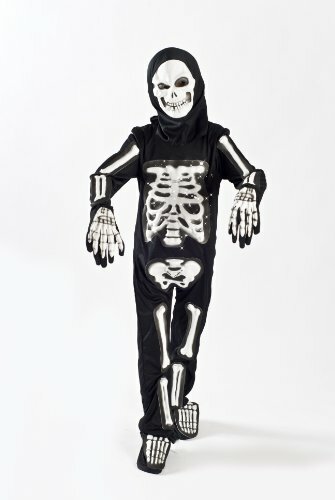 This kids skeleton costume includes a hooded jumpsuit with bones, mask, gloves and shoe covers. 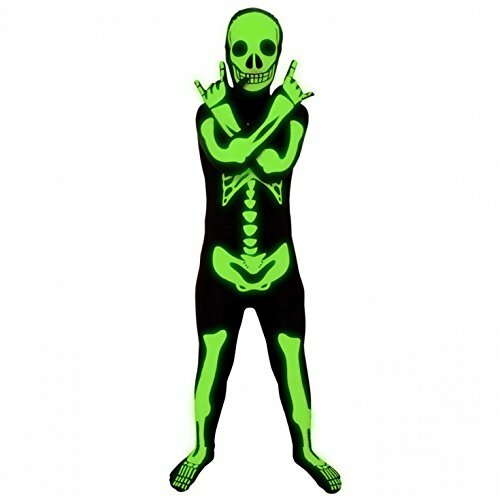 This ghoulish skeleton is available in your choice of ghostly white or toxic green. 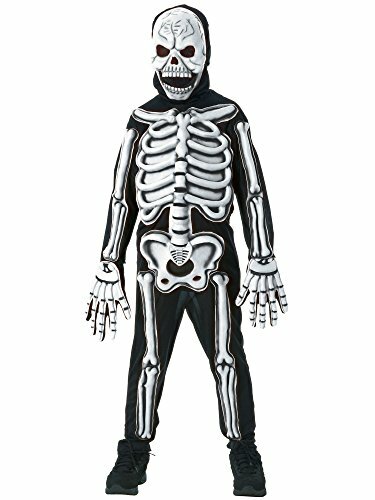 This kids skeleton costume comes in child sizes Medium, Large.